Social Media is not just fun and games - it can be a powerful tool that will drive your business to recognition and success. Unlike what is believed by many, social media marketing is not something that is reserved for celebrities, artists and fashionistas. While those three categories of people do have social media cut out for them as the perfect means to gain large audiences, it can work for you as well. Many companies in a wide variety of fields are coming to recognize the value and power of social media in promoting their brands. 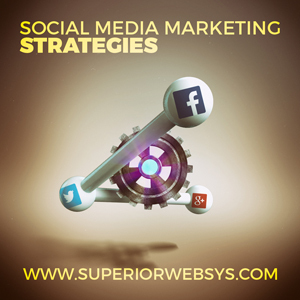 Social Media Marketing is becoming another must-have, in addition to Web Development and SEO. Here are a few tips on how to make your social media campaign work for you. To make this really work you should consult your social media expert, but the gist of it is to run a draw, the winner of which will get a small prize from your company. It can be a product you are selling, a discount to your service or a gift card. In any case, it should be something that people will be glad to get. The condition to this draw should be to “like” your page and share the post in their feeds. This simple trick can create a chain reaction that will lead to hundreds of subscribers that will be getting updates about your new products and promotions directly from you. Once you have an audience, you will need to make sure to keep it. In addition to a well-designed page, it is important to have constant stream of (weekly or bi-weekly) status updates that keep your audience interested. If you are running a blog on your site, cross-posts are a good idea, since it will also connect the audience to your professional website. Keep in mind that the blogs and updates are not sales pages. They are meant to be interesting and useful, if they are to have people flock to your site. Generating user initiative is invaluable. Invite users to share design ideas, logos and other creative input on your page. Reward this with free gifts and souvenirs that will go to a winner of those competitions. This will generate not only interest, but excitement too. Be Active - Go Out There! Attracting an audience is important, but you can also go out there and seek it out yourself. Make cross-posts from other pages, initiate conversations in groups and generally create a stir wherever your potential audiences gather. We hope this gives you an idea and a direction to follow. Good luck, and feel free to contact us for more guidance and advice. Our social media specialists are here for you.